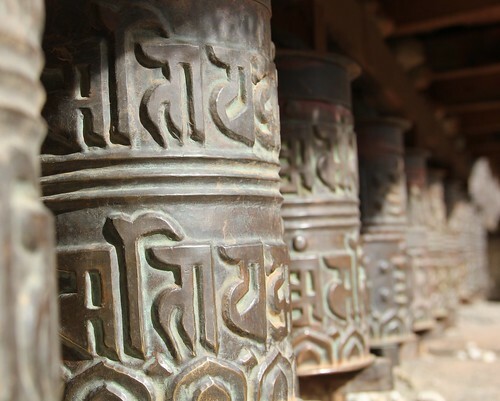 One of our favorite parts of hiking in Nepal was coming across one of the many prayer wheel walls. Some were ornate and meticulously cared for, while others were made of old coffee cans with the prayers hand painted on them. We always took care to walk down the correct side, and spin each wheel as we passed by.